Unified networking solutions on the Intel Ethernet Converged Network Adapter X540 let you combine the traffic of multiple data center networks like LAN and SAN onto a single efficient network fabric. You now have the choice of NFS, iSCSI, or Fiber Channel over Ethernet (FCoE) to carry both network and storage traffic at speeds of up to 10 Gbps. 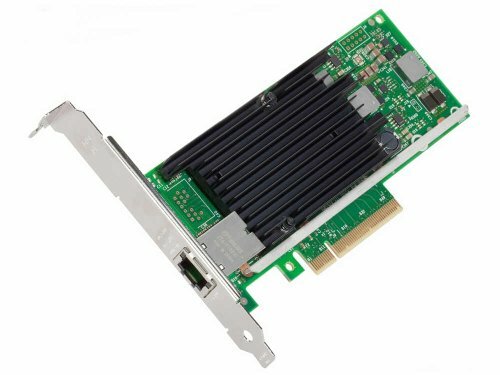 The Intel X540 adapter combines support for all of these traffic types in one adapter at no additional cost and with no additional licensing fees for the adapter. iSCSI uses Ethernet to carry storage traffic, extending the familiarity and simplicity of Ethernet to storage networking, without the need for SAN-specific adapters or switches. Intel Ethernet X540 is the easiest, most reliable, and most cost-effective way of connecting servers to iSCSI SANs.